Whether your definition of a polished look is a well-pressed suit, a smooth silk dress or a wrinkle-free shirt for work, you can achieve it with the CHI® Professional Clothing Iron. Like our haircare tools, this iron is designed to give you the high-performance power of the pros at home. Engineered with a titanium-infused ceramic soleplate similar to our popular CHI® flat irons, the Professional Clothing Iron is durable enough to withstand scratches, heats up quickly and provides an extra-smooth glide. Ironing is simpler than ever with a temperature dial that includes a fabric guide, adjustable steam control and an easy to grasp, comfortable handle. 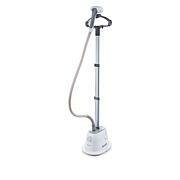 With over 300 steam holes, you can smooth out the toughest of wrinkles effortlessly. 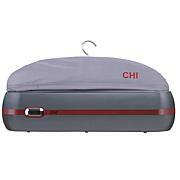 MADE WITH CHI FLAT IRON TECHNOLOGY. Designed using the same titanium-infused ceramic soleplate technology that powers CHI®’s hair styling tools, including the flagship CHI® G2 Flat Iron. 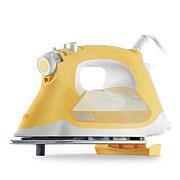 POWERFUL STEAM FOR EFFORTLESS IRONING. 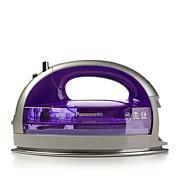 With over 300 steam holes, this iron delivers powerful steam that makes the process of steaming out wrinkles smooth and fast. The Professional Clothing Iron is designed using the same titanium-infused ceramic soleplate technology that powers CHI®’s hair styling tools, including the flagship CHI® G2 Flat Iron. With over 300 steam holes, this iron delivers powerful steam that makes the process of steaming out wrinkles smooth and fast. Has all features that I was looking for!!!! Love the sole plate and amount of steam holes!!!! Heats fast.